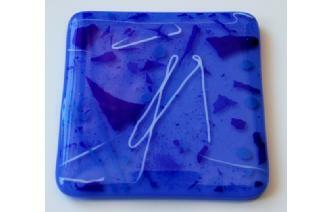 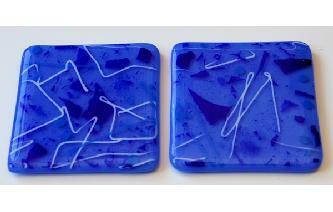 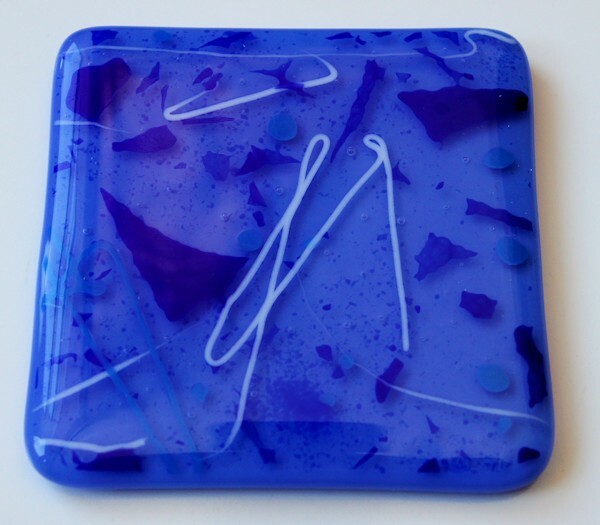 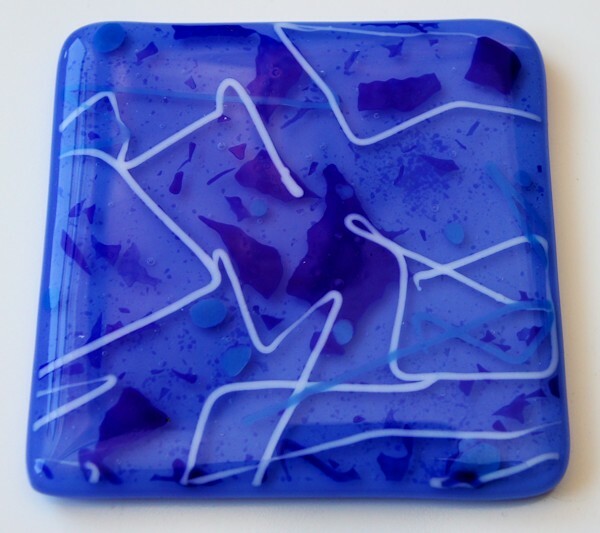 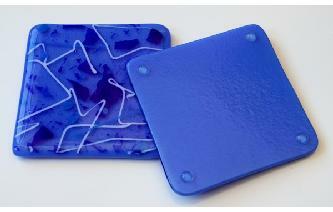 Created by fusing opaque blue and clear Bullseye glass together in a kiln at high temperatures. 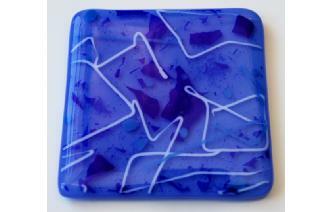 Highlights have been added using shades of blue and white glass see detail photograph for an example. 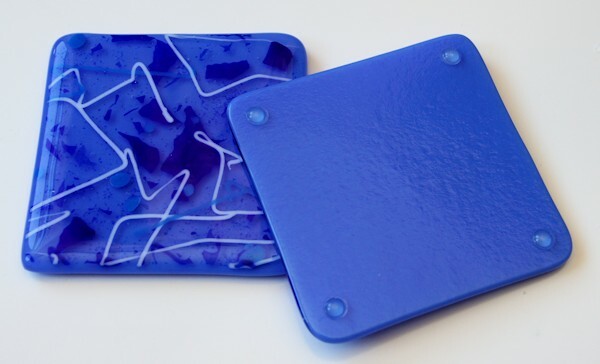 Sold as a set of two coasters.